How do Maryland and Baltimore County compare to other places in the United States for motorcycle accidents? Below are some of the statistics released by the National Highway Traffic Safety Administration (NHTSA) and the Maryland Motor Vehicle Administration (MVA) regarding motorcycle accidents. One of the first motorcycle statistics to examine is the rate of fatalities and injuries from 2013 through 2016. In Maryland, the number of individuals who were killed in motorcycle accidents increased each year over the four-year period from a low of 62 in 2013 to a high of 75 in 2016. Nationally, the number of fatalities decreased from 2013 to 2014 but increased for two years after that. For 2016, the number of people killed in motorcycle accidents in the United States totaled 5,286, a 5.1 percent increase from 2015. On the other hand, the number of individuals injured in motorcycle accidents rose in 2014 but fell in 2015. There was a slight increase in injuries in 2016 with 1,291 people being injured in crashes that year. Nationwide, the number of injuries rose in 2014 but fell again in 2015 to 88,000. The statistics for 2016 were not available as of February 2018 when the NHTSA published the information. According to the NHTSA, approximately 1,859 motorcyclists were saved in 2016 because they wore motorcycle helmets. If all riders had worn helmets, another 802 lives could have been saved. Motorcycle helmets are thought to be 37-percent effective in preventing fatalities for motorcyclists and 41-percent effective for passengers. Maryland has a universal motorcycle helmet law that requires all riders to wear a DOT-approved motorcycle helmet. In 2016, 75 people lost their lives in motorcycle accidents. According to the numbers, 63 people wore helmets while 11 people did not have helmets on at the time of the crash. However, the information provided by the Maryland MVA is slightly different. The MVA has only 41 people wearing helmets who died in motorcycle crashes during 2016. In either case, riders and passengers should also use a motorcycle helmet to reduce the risk of injury and death in motorcycle accidents. Thirty-three percent (33%) of motorcycle accidents that resulted in fatalities in the United States during 2016 were speeding-related. This number is a little less than double the number of fatal speeding-related car crashes (19%) that year. Speeding-related fatal light truck crashes (15%) were a little less than half of the rate of speeding-related motorcycle fatalities in 2016. Drunk driving motorcycle accidents claimed the lives of 1,259 people nationwide in 2016, making fatal DUI motorcycle accidents 25 percent of all traffic-related fatalities that year. During that same year, 355 people or seven percent of the traffic fatalities in motorcycle accidents involved riders with a BAC between 0.01 and 0.07. It is important to note that operating a motorcycle or any other vehicle under the influence of alcohol or drugs is illegal, in addition to dangerous and potentially fatal. Riders should always plan for alternate forms of transportation if they intend to consume alcohol. Where do Motorcycle Accidents Occur in Maryland? By far, most of the motorcycle crashes that occurred in Maryland between 2012 and 2016 occurred on county roads and state routes. On average, 33.9 percent of the crashes occurred on Maryland state routes and 28 percent of the crashes occurred on county roads. Surprisingly, an average of 25 motorcycle accidents each year occur in parking lots instead of on the road. Baltimore County had the second highest number of motorcycle crashes in 2016 with 196 accidents. The county was second in the number of accidents to the 230 motorcycle accidents in Prince George’s County. During 2016, there were 151 injury crashes and five fatal crashes in Baltimore County. The total number of motorcycle accidents in Baltimore County has decreased each year from 2012 through 2016, except for a slight increase between 2014 and 2015. The first thing you need to do is call 911 to report the crash and request emergency medical services. Even if you do not need EMS, you need to report the crash so that a police report can be filed. If you do not go to the emergency room, you should see a doctor the next day. It is very important that a doctor examines you to ensure you are not suffering from an injury. Furthermore, a delay in medical care could be used by an insurance company to deny or undervalue your injury claim. Once you have seen to your medical care, contact our office to consult with a Parkville motorcycle accident attorney. 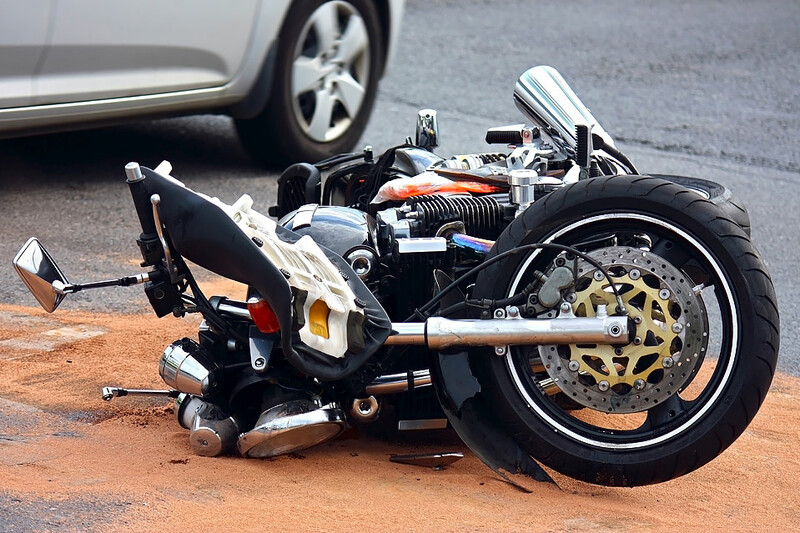 Motorcycle accident claims can be very difficult because of the presumption that a rider is at fault for a crash. Riders are often presumed to be at fault because of misconceptions about motorcyclists. Our motorcycle attorneys understand how to combat hurtful misconceptions and false beliefs associated with riders. We are committed to fighting for a fair and just settlement for your claim. Call 410-661-9440 to speak with a Maryland motorcycle accident attorney in Baltimore County. You may also contact us by using the form on our website.